John was born in Boston, Massachusetts and graduated from Malden Catholic High School in 1982. He started a career in accounting, but on the advice of friends left to pursue a career in comedy. His “break” came when he was asked to tour with Frank Sinatra. 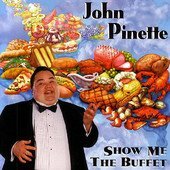 In 1999 Pinette was named Stand-Up Comedian of the Year by the American Comedy Awards and in 2000 he received a Gemini Award nomination for his televised performance at Montreal’s Just for Laughs Comedy Festival. In 2004, Pinette joined the touring cast of the musical Hairspray in the role of Edna Turnblad. He later went on to the Broadway production in 2005, and continued in the role until May 28, 2006. In 2004, Pinette’s stand up material was featured in Comedy Central’s animated series Shorties Watchin’ Shorties. 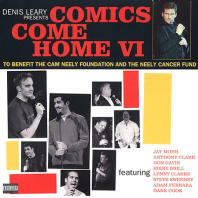 In 2007, Pinette performed at the 42nd annual MDA Jerry Lewis Telethon. 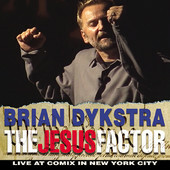 He performed at the Edinburgh Comedy Festival in Edinburgh, Scotland in 2008, and toured in cities in 2010 beginning in April. 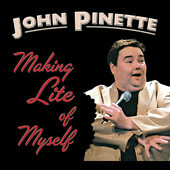 In 2012, Pinette was one of the comedy acts in Ron White’s Comedy Salute To The Troops on CMT. “I talk about food,” says the actor/comedian, of his stand-up act, “not so much because I’m a big guy, but because I think it’s the perfect common ground…everybody eats!” Finding common ground with his audience is no problem for John Pinette- he makes ‘em laugh so hard it hurts!